Employer review sites can be really useful for many different occasions, but for the most part they are utilized by job seekers looking for in-depth, accurate information on employers they plan to apply to. 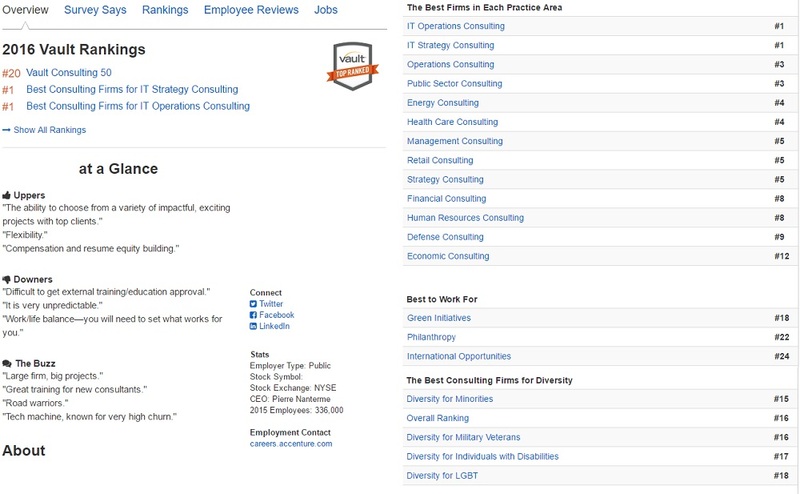 GlassDoor is the undisputed leader in this employer review sites segment and has built a database of 8+ million company reviews, leadership/management ratings, salary reports, job interview tips, employee benefits reports, and workplace insights all generated by “the people who know the company best”, the employees. Caption: Not a full employer review, just a few sections within review. Great place to work offers the most in-depth employer reviews on the list. While GlassDoor offers individual employee feedback, great place to work’s employer review system is based on a collective rating of all current employees’ feedback on an anonymous survey in six different areas (Challenges, Atmosphere, Rewards, Pride, Communication, and Leadership). They also provide great visuals on employer statistics giving potential job candidates multiple ways to look at data. Indeed doesn’t have as many companies reviewed in their database as the other 4 sites mentioned on this list. Their employer reviews are segmented into a list of the best places to work and has around 500 companies that are reviewed and rated by current and past employees. Indeed is more like Glassdoor in the way employee reviews are conducted and also provide individual ratings as well as cumulative ratings. 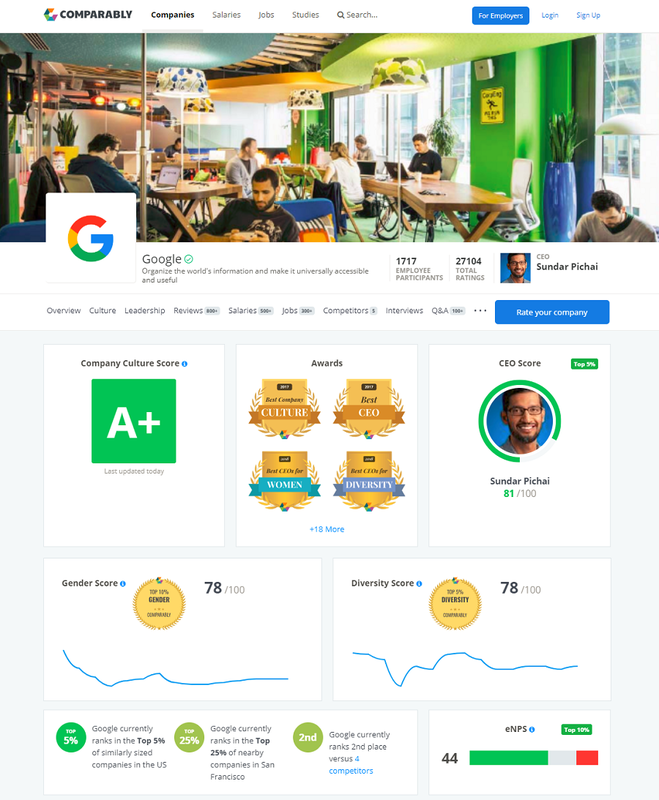 Comparably is a newer, trendy employer review site focused on compensation and company culture data. With ratings for gender, diversity and overall culture Comparably offers the things candidates are really looking when researching a company. 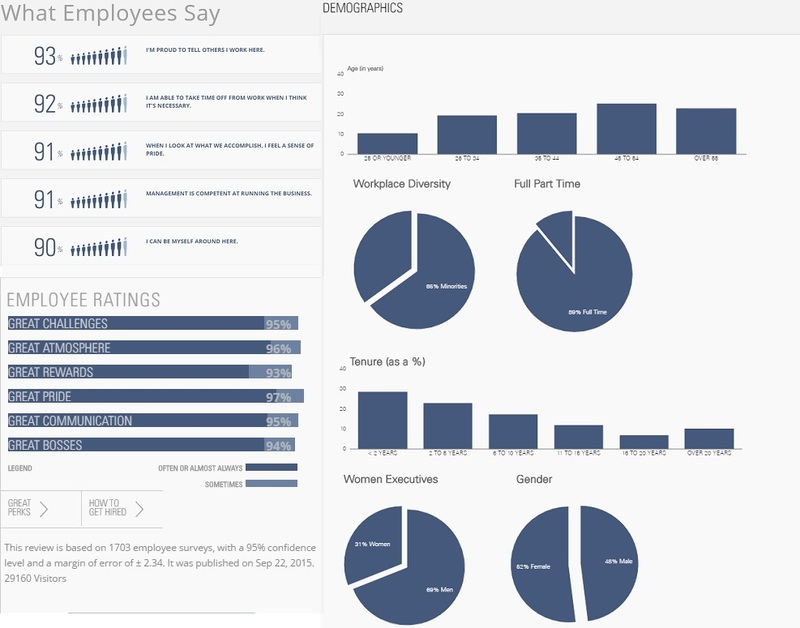 Comparably has one of my favorite interfaces out of all of the employer review sites with clean, readable graphs and visuals. 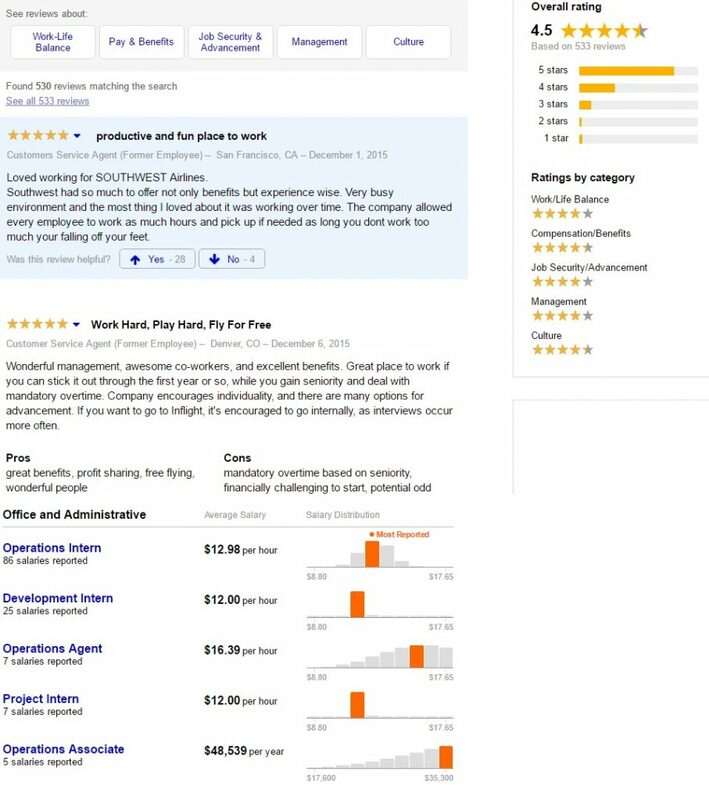 Another trending employer review site that has popped up on our radar is Careerbliss. Serving multiple perspectives (direct employer, job seekers and recruiters) Careerbliss is a one stop shop for job seekers looking for information on an employer. Careerbliss has some of the most complete salary data including salary by position and in-depth salary comparisons to the national average and geographical averages. They also have an annual employer of choice award for the top 50 Happiest Companies in America. Vault provides employer ratings, reviews, and rankings on 5,000 companies in over 120 industries. Rather than an employee review based site, Vault does most of their company research in-house and provides some really in-depth information on each department. This site does have some free content (overview and some rankings) on companies, but in order to get the good stuff you will need to subscribe to Vault for a fee. 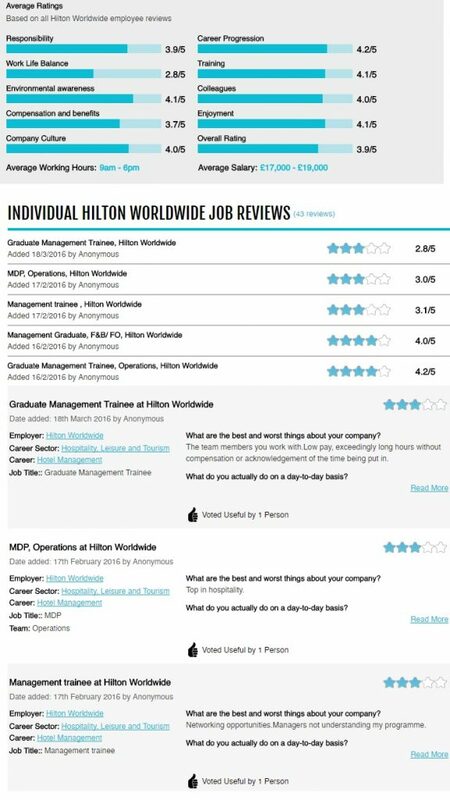 Focused on graduate employers and employees the job crowd hosts thousands of reviews for potential candidates to read. They do a great job not only providing individual employee reviews, but also have reviews on specific job titles and positions. 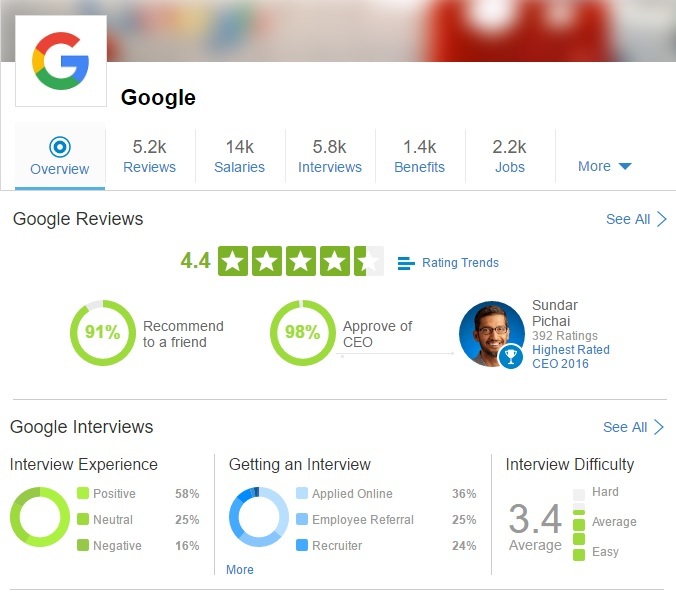 Their employee reviews are based on the premise of what the best and worst things are about the company and the employer profile has information on working hours, salary, and interview tips. My CEO’s Candidate Attraction/Engagement friend at Dell, Jennifer Newbill, reminded me that kununu is launching an employer review platform in the US market partnering up with Monster. Kununu is the leading Europe-based employer review platform with over one million reviews on around 250,000 companies, according to a recent kununu press release.